Hey Plastic Addicts. SDCC is this weekend (time flies doesn’t it) and in preparation for it i have been doing an ideal wave for the last couple of weeks. Both of the previous ones have been based around up coming films (MCU’s Captain Marvel and Fox’s New Mutants). However there are 4 more movies out next year that I want to be able to make an Ideal Wave for. While I will be holding off on the Avengers and Spider-man movies in their own wave for a bit, there are 2 Fox Movies that I think I have to combine, those being the Dark Phoenix Saga movie and the (supposedly out next year) Gambit movie. Why combine the 2? Because they are both the X-men and the chance of the Gambit movie actually coming out next year is low. However, I will be making this (Comic based) wave as if Gambit is coming out next year. It is also highly possible that he will get a figure next year as he has been the most requested character and the one with the easiest repaint to come out. I will also be putting in character from the Dark Phoenix saga. However, I will not be including Jean Grey as she has had 2 version of the Phoenix out in recent years. While I could put her Jim Lee version, the wave for a Dark Phoenix theme should be her Phoenix persona so it would be weird for her to be in another costume. Starting off with the “Has-to-be-in-the-wave” figure we have Wolverine. 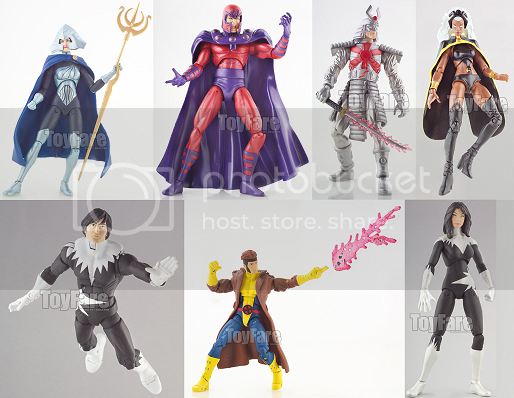 Now while Hasbro have tons of version they need to do (or redo) like the First Appearance or the X-Force versions, I think since this is base around the Dark Phoenix saga and during that saga, the team fought the Imperial Guard of the Shi’Ar Empire, I think Hasbro could go back a small bit to when they fought the Guard before and Wolverin had his costume destroy so he stole Fang’s costume and wore it for a while. Not only that but since people are sick of getting Wolverine, a simply head and hands swap we get a new character in Fang. Obviously this will use the Wolverine build with new arms and lower legs. Next we have Gambit. Whether he is getting a movie next year or not, Hasbro really needs to make him. For this, I think it’s almost guaranteed that most people will want his Jim Lee or his Original Appearance. While it is obvious that the Multiple Man Jacket and arms will be used for him, I think Hasbro should redo the base Bucky Cap body and not make the details painted on. He should also come with a Card throwing effect similar to Dagger and Bullseye. But for the love god, Hasbro do not give use DD / Moon Knight / Mockingbird billy clubs. They do not suit Gambit. Instead create a new staff for use to use. 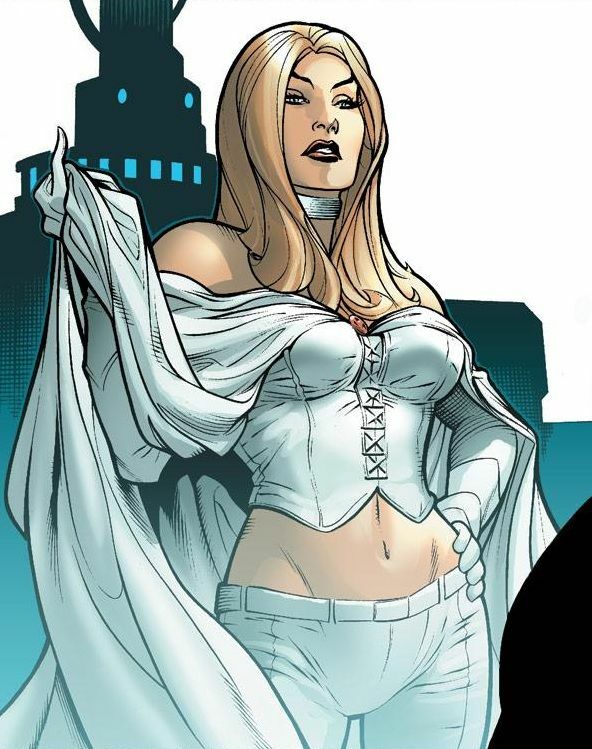 Taking up one of both the Female spot and the remake spots, we have Emma Frost. She was introduced in the Dark Phoenix saga, so I think this wave makes a perfect spot for her to be slotted. While we will NEVER get the White Queen version (for obvious PC reasons), I think the costume she wore in the Utopia era would be perfect version for her to come in (plus it goes with the Utopia Cyclops and Colossus). As many people have guessed already, this will be mostly a repaint of the Typhoid Mary figure with new arms and a new cape. Next up we have the Shi’Ar Empress and Xavier’s former wife, Lilandra. Hasbro has actually thought about making her. She was one of the choose in the Toy Fair magazine Fan Poll (see here)but lost out to AOA Sunfire. With her making her movie appearance in the upcoming movie, I think it’s about time we get her out. I don’t mind which version of her we get, as long as it’s some kind of armor version. This could use the Kate Bishop mold with re-sculpted parts and they could probably use the spear that came with Black Panther wave Namor for her staff. Next up with have the last of the X-men heroes, Cyclops. Cyclops of course was a huge part of the Dark Phoenix saga but we already got that version in the Dark Phoenix 2-pack from last year. Instead I though it would be a great Idea to give us the Teen Cyclops from the past, particularly the one from the Champions. Why? 2 reasons. One is that it will bring us closer to completing that team, with only TA Hulk and Vivian left but both of them could be slotted into an Avengers wave. The second reason is it will allow Hasbro to use the totally under utilized teenage body mold that was used for both his teammates, Mile Morales and Kid Nova. Taking up the first villain slot we have Mr. Sinister. The villain has been a menace to mostly the X-men but if you were to ask some one who was both Gambit’s and Cyclops arch-enemy, most will say this guy. Toybiz made a version of this in their Sentinel series but that has become hard to find for newer collectors. This figure will be a all new sculpt as his design is too unique to use another figure. 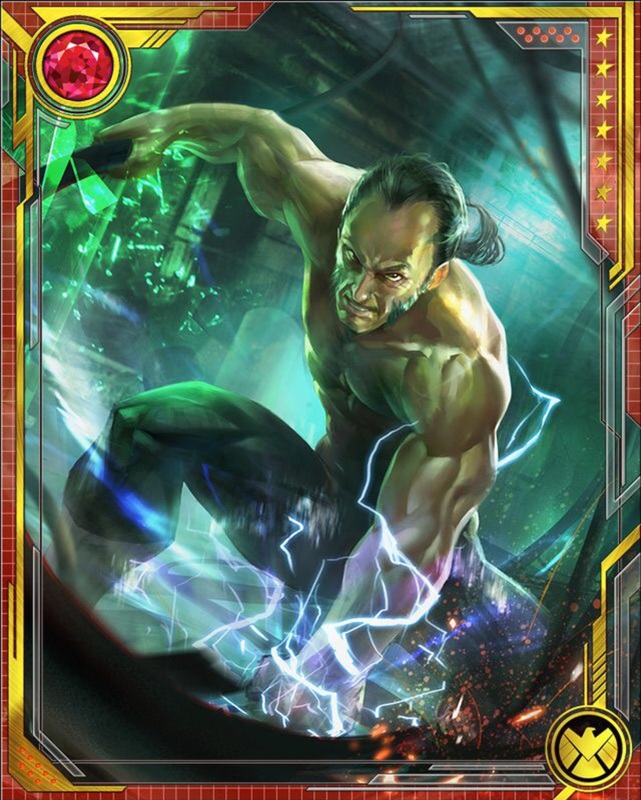 Taking the last spot in this wave we have the former leader of the Hellfire Club as well as one of the villains behind the Dark Phoenix saga, Sebastian Shaw. While I would love his Hellfire version, I think for the sake of making this easier for Hasbro to make, as that version would require too many new parts, I think his shirtless martial artist look would be perfect for him ( I mean have a look some of the fantastic Customs ) I would pick the more recent black pants and grey sash though as the green and yellow one look too much like Iron Fist. He can be done on the Spider-UK mold with the lighting effect that came with Storm. Taking the BAF we have an Imperial Guard member who actually had an old Toybiz 5inch figure before, the brother B’Nee and C’cll, together known as Warstar. I honestly was thinking of either these guys or Titan but pick this guys as people have actually been asking for him. Not only that but it will guy us another member of the Guard alongside the Fang figure above. This will obviously use the Iron Monger / Mandriod build. I mean look at the big guy. He is basically the same design as does. The smaller fella with be a very limited articulated figure that will come with the Cyclops but has the ability to clip onto the big guy. Well that my version of what would make the Ideal wave for both the Dark Phoenix movie and the Gambit movie. It has more of the Dark Phoenix in it then the Gambit but that’s only because we don’t have any confirmation that Gambit is coming out next year (or whether it will be good or not). Let me know what you think in the comments before or on any of the social media sites. This will be the last post this week that is not a News post. Be sure to check sites like Marvelousnews.com for all the SDCC news and updates this weekend. I will be posting News as they come out and since I work evenings in Ireland when they things are revealed, when I get the chance.